Doha 2012, this year's annual United Nations Climate Change Conference, will be held Monday, November 26th to Friday, December 7th 2012 at the Qatar National Convention Centre in Doha, Qatar. Doha 2012 will bring together an estimated 17,000 representatives of the world's governments, international civil society organizations, including trade unions, business associations, faith groups, environmental organizations, research institutes, etc. The United Nations Framework Convention on Climate Change (UNFCCC) sets out a framework for action aimed at stabilizing atmospheric concentrations of greenhouse gases (GHG) to avoid man-made global warming. It was adopted in 1992 and came into force in 1994. With 195 parties to the agreement, the UNFCCC encompasses virtually every country in the world, including Canada and the United States (US). At last years session (COP 17) in Durban South Africa, governments decided to adopt a new universal legal agreement on climate change that will apply to all countries no later than 2015. While Doha 2012 is not intended to produce a new treaty or agreement, the central goal is to begin discussions for a new legal structure that will be in place for 2015. The Kyoto Protocol, a sub-agreement under the UNFCC was signed in 1997 at COP 10 in Kyoto Japan, and came into force in 2005, and set binding obligations on industrialized countries to reduce their emissions of greenhouse gases (GHGs). It presently has 193 parties, including Canada but not the US. The Kyoto Protocol intended that a second commitment period and new international framework be negotiated and ratified by the end of 2012. The European Union (EU) - along with Australia, Norway, Switzerland and a handful of other countries - is expected to sign up to a continuation of the Kyoto protocol beyond 2012 at Doha. But such a continuation is not expected to include earlier signatories to Kyoto such Canada, Russia, or Japan. A second commitment period is also unlikely to include the US, or other major emerging economies such as China, India and Brazil, which were not required to reduce emissions during the first Kyoto commitment period. Climate Action Network International (CANET), with almost 600 member organizations in countries around the world publishes an on line and paper daily bulletin called ECO during negotiations. CANET has participated in climate negotiations since the United Nations Framework on Climate Change was first negotiated, and pursues common program and policy goals during negotiations. The International Institute for Sustainable Development (IISD), a global environmental research think tank based in Winnipeg, Manitoba, also provides daily coverage, reports, summaries and analysis of climate change negotiations through its Earth News Bulletin. November 2012, Loss and Damage in a Warmer World: Whither Gender Matters? November 2012, Tackling Loss & Damage - A new role for the climate regime? United Nations (UN) climate talks in Doha, Qatar wrapped up December 8, 2012, with the outcome, known as the Doha Climate Gateway, falling short of the action climate science shows is required. The net result is that Doha leaves the world firmly on track to 4 degrees or more of warming by 2100. A framework for a single-track negotiation process to arrive a new legally binding global climate treaty by 2015 was developed in Doha, but unless countries develop the political will to take sincere action at home a deal in 2015 remains elusive. "These talks have failed the climate and they have failed developing nations. The Doha decision has delivered no real cuts in emissions, it has delivered no concrete finance, and it has not delivered on equity," said World Wildlife Federation (WWF) head delegate, Tasneem Essop. Potentially the most import discussion at Doha was the talk of financing the response for climate change. "The climate change phenomenon has been caused by the industrialization of the developed world. It's only fair and reasonable that the developed world should bear most of the responsibility," said UN Secretary-General Ban Ki-moon. 2009 UN climate negotiations in Copenhagen, Denmark agreed to a fast-start financing commitment to mobilize US$ 10 billion per year between 2010-2012. With a longer-term pledge to reach an annual target of US$ 100 billion by 2020 to establish a Green Climate Fund was also agreed to. Canada pledged $1.2 billion between 2009-2012 towards fast-start climate financing. Canada provided $400 million in 2010, $394 million in 2011, and $180 million from January to May 2012. Canadian Minister of the Environment Peter Kent announced a further $167.5 million of fast-start climate financing at Doha on December 6, 2012. The most recent funding includes $75 million for a fund administered by the International Finance Corporation that will invest in venture capital and private equity in developing countries. 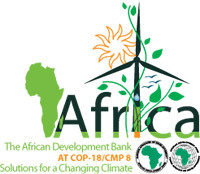 Another $76 million is earmarked for the Asian Development Bank to establish a Canadian Climate Fund for private sector projects in Asia, and $16.5 million goes to the UN Development Program for adaptation projects in least developed countries. With no firm funding commitments beyond 2013, developing countries pushed richer nations to scale up climate aid to poor countries to meet the $100 billion annual commitment. But rich nations were generally unwilling to make specific commitments at Doha, citing world financial turmoil and pressure on their budgets. "The Canadian Government was determined to lead the race to the bottom on the central issue of finance, insisting on holding out for at least 3 more years until they contribute to the Green Climate Fund," said Hannah McKinnon, Climate Action Network Canada Campaigns Director. Developing countries did have some success in obtaining a pledge from rich nations that they will receive funds to repair "loss and damage from climate change." "This is a highly significant move - it will be the first time the size of the bill for failing to take on climate change will be part of the UN discussions. Countries need to understand the risks they are taking in not addressing climate change urgently," said Greenpeace political advisor Ruth Davis. Despite this success, key questions remain unanswered, including whether funds devoted to "loss and damage" will come from existing humanitarian aid and disaster relief budgets. Another question is how the funds will be disbursed. These issues will have to be sorted out at next year's climate conference, in Warsaw, Poland, where they will be bitterly contested. The European Union, Australia, Switzerland, Norway and several other industrialized nations did manage to conclude negotiations on a new commitment period under the Kyoto Protocol. Kyoto's expiry on January 31 would have left the world without a legally binding framework to confront global warming. However, the second phase only covers about 15 per cent of global emissions after Canada, Japan, New Zealand and Russia opted out. The Unites States is not a signatory to Kyoto. Countries also failed to move beyond the greenhouse gas (GHG) emission reduction pledges that have been on the table since the Copenhagen conference in 2009. The US refused to budge on its target of a 17% reduction in GHG emission by 2020. The EU, already on track to meet its target of 20% GHG reductions by 2020, was unable to form consensus on greater action due to opposition from member state Poland, which wanted to keep carbon credits awarded to it in the 1990s. Other tough issues, such as emissions from international aviation and maritime transport, were simply ignored. "Bopha, Sandy, floods in Pakistan, droughts in China... How many reports from the likes of the World Bank, NASA and the International Energy Agency will it take? How many preventable catastrophes until our leaders realize that climate change will not be solved by nice speeches and empty promises? Countries like Canada and the U.S. have promised to reduce their greenhouse gas pollution and provide adequate financial support for developing countries. They have so far failed on both counts," Steven Guilbeault, Deputy Director, Equiterre.